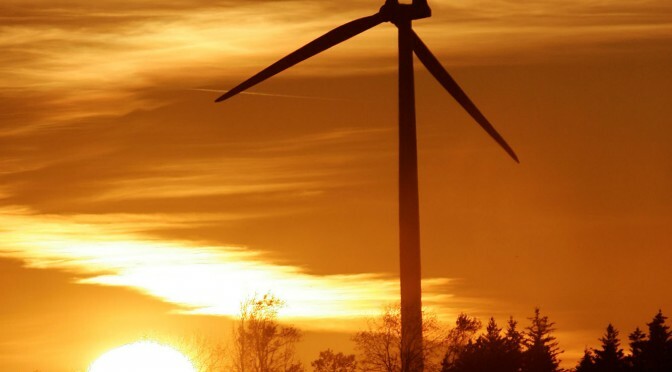 The 17.25MW expansion of the TransAlta Renewables Inc. (“TransAlta Renewables” or the “Company”) (TSX: RNW) wind facility at Kent Hills, in New Brunswick is now fully operational, bringing total generating capacity to 167 MW. Under the 17-year power purchase agreement, New Brunswick Power receives both energy to the province’s electricity grid and renewable energy credits. “The additional renewable capacity of Kent Hills 3 achieves the production targets and is great news for the environment. It will also give NB Power the potential to facilitate other business development opportunities in the green energy export sector,” said Gaëtan Thomas, CEO, New Brunswick Power. TransAlta Renewables’ engagement with project stakeholders and indigenous communities is a great example of working together to bring important new infrastructure to a modern grid. As part of the development and regulatory approval process, TransAlta Renewables worked with the government, neighbouring Indigenous communities, Mi’gmawe’l Tplu’taqnn Inc. and Fort Folly First Nation, and local stakeholder groups such as the Snowmobilers Association. The Kent Hills 3 expansion is located on approximately 20 acres of Crown Land and consists of five Vestas V126 turbines. Kent Hills is located about 55km southwest of Moncton, in the southeastern section of Elgin Parish in Albert County, N.B. Natural Forces Technologies Inc., a wind-energy developer based in Atlantic Canada, co-developed and co-owns the wind farm with TransAlta Renewables. Construction began in April 2018, achieving completion in under six months. TransAlta Renewables is among the largest of any publicly traded renewable independent power producers (“IPP”) in Canada. Our asset platform and economic interests are diversified in terms of geography, generation and counterparties and consist of interests in 21 wind facilities, 13 hydroelectric facilities, seven natural gas generation facilities, one solar facility and one natural gas pipeline, representing an ownership interest of 2,421 MW of owned generating capacity, located in the provinces of British Columbia, Alberta, Ontario, Québec, New Brunswick, the States of Wyoming, Massachusetts, Minnesota and the State of Western Australia. Our objectives are to (i) provide stable, consistent returns for investors through the ownership of, and investment in, highly contracted renewable and natural gas power generation and other infrastructure assets that provide stable cash flow primarily through long-term contracts with strong counterparties; (ii) pursue and capitalize on strategic growth opportunities in the renewable and natural gas power generation and other infrastructure sectors; (iii) maintain diversity in terms of geography, generation and counterparties; and (iv) pay out 80 to 85 per cent of cash available for distribution to the shareholders of the Company on an annual basis.